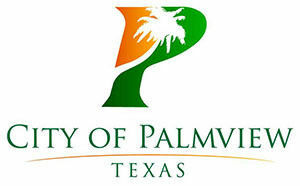 While the mayoral seat for the city of Palmview will only offer one choice, two other places on the council are being contested and will be up for voters to decide in November. Joselito “Hoss” Hernandez, councilman for place 2, is seeking re-election to the city council. Hernandez is the bus parts manager at the La Joya school district, which he said makes him the Autozone or O’Reilly of the district. “I’m the one that issues out all the parts for all the school vehicles,” he said. Hernandez said he’s running for re-election because there are still unfinished projects he wants to see completed. He’s served on the council for more than four years. During that time he said, the city council’s been able to accomplish some of his goals, such as adding another park, growing the city through annexations and expanding their public safety services. His goals, he said, continue to be to beautify the city, see the city grow, and improve the quality of life. Challenging him is Jose Luis Perez, chair of the math department at the La Joya school district for the past 15 years. He ran unsuccessfully for the council during the 2016 elections and said he’s running again because he doesn’t think the council has delivered on the things they promised. “Things are still not as well and we’re trying to make a difference, and that’s the reason why I’m running again,” he said. Perez, who also sits on the city’s zone and adjustment board, said he wants to improve lighting around the city — safety issues he wants to address — and open a city library. Perez is running alongside Anthony Uresti, who is also a teacher and an athletic coach. Uresti is running for councilman place 4, the position left vacant by Ricardo “Rick” Villarreal, who resigned to run for mayor. Uresti also sits on the city’s zone and adjustment board and stated he wanted to encourage civic engagement. In the race to succeed Villarreal, Uresti is running against Arturo Alaniz Jr., a retired teacher. Alaniz said he was approached by Hernandez to run, but Alaniz said he didn’t like politics. Hernandez told him to think about it, Alaniz said, and after he did, he reconsidered. “We always complain about things getting done or not getting done and it’s easy to be on the sidelines and let it happen,” he said. So he decided to give it a chance and see if he could make a difference. He hopes to improve drainage in the city and envisions more sidewalks and bicycle trails to make it more pedestrian friendly. He also suggested tax breaks for people who opted to use solar panels.